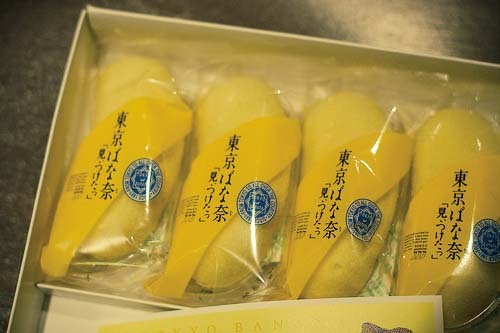 “Tokyo Banana Mitsuketa (I found Tokyo Banana)” is one of the most popular souvenirs from Tokyo. 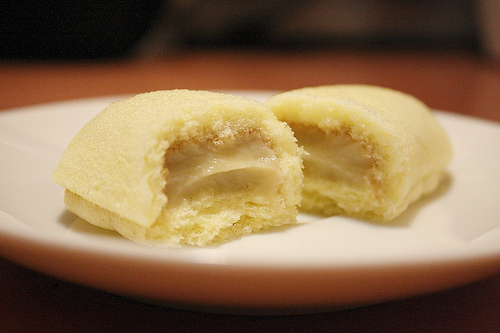 It is a sponge cake filled with banana flavored custard cream. 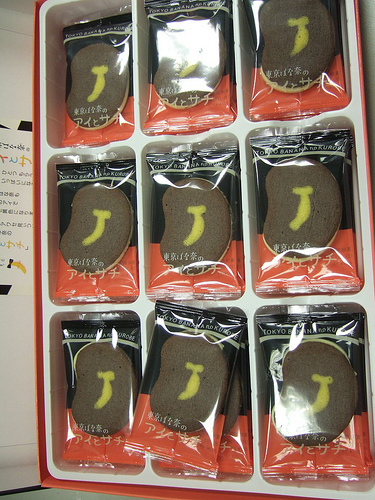 It tastes good and I think anyone who likes banana would like it. 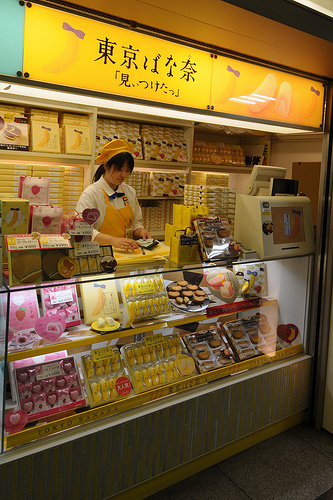 There are some variations of Tokyo Banana. But why banana? 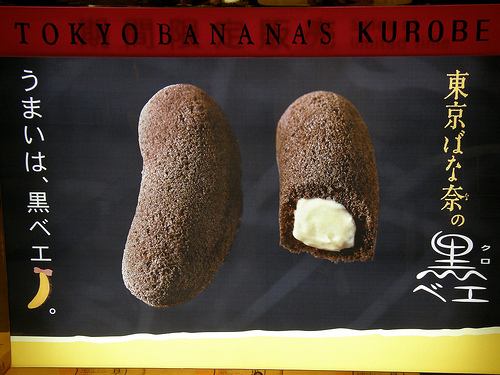 Banana is not specialty of Tokyo. 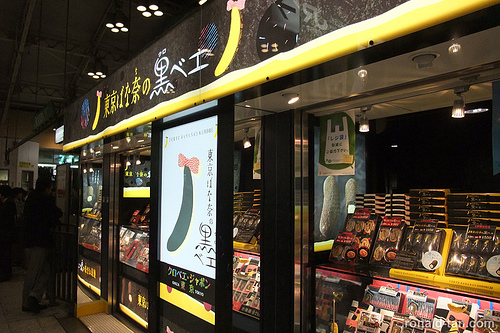 Tokyo Banana series is sold at train stations, airports, tourist sites, in Tokyo. 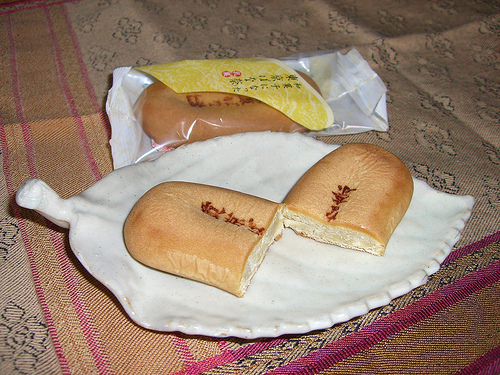 While many Japanese specialty foods are unique, this is a food that anyone from any country can enjoy. 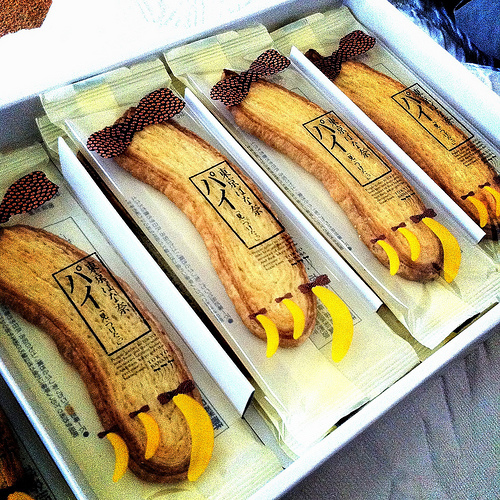 So, add Tokyo Banana in your Tokyo souvenirs list!